For years, our financial staff has offered expert advice for those seeking a great Jeep, Dodge, Chrysler or Ram loan or lease near Manassas, VA.
Our service doesn’t stop there though; area customers can come in and take advantage of our car dealer’s knowledgeable car repair technicians and fully-stocked inventory of Chrysler, Jeep, Dodge and Ram auto parts. As a leading car dealer serving Manassas, Safford Chrysler Jeep Dodge Ram of Warrenton is committed to making customer satisfaction our priority. Getting you behind the wheel of the car you’ve always wanted is only a click away! The staff at Safford Chrysler Jeep Dodge Ram of Warrenton is devoted to offering you the best prices and financing options for your next vehicle purchase. 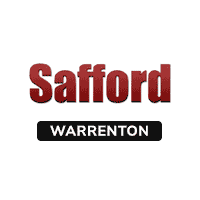 Safford Chrysler Jeep Dodge Ram of Warrenton has been helping drivers in Virginia find the perfect vehicle for years. You can reach our friendly auto representatives at any time by filling out our contact form. You can also call us at 540-216-0414540-905-4552, or simply visit Safford Chrysler Jeep Dodge Ram of Warrenton at 7308 Cedar Run Dr., Warrenton, VA.
We look forward to helping you find and finance the vehicle of your dreams soon.